Former Union Minister M Venkaiah Naidu has been elected as the 15th Vice-President of India. Naidu will be administered the oath of office by President Ram Nath Kovind. The election for the Vice President is conducted through a secret ballot where the members of Electoral College consisting of Members of the both Houses of Parliament including, the nominated members of Lok Sabha and the Rajya Sabha vote. Members of Parliament will use special pens for marking their choice. Votes marked with any other pen are liable to be rejected. The ballot paper shall contain the names of the contesting candidates, but does not contain any election symbol. A candidate needs 20 electors as proposers and at least another 20 electors as seconders for his nomination. The candidate also has to make a security deposit of Rs. 15,000. A person shall not be eligible for election as Vice-President if he holds any office of profit under the Government of India or the Government of any State or under any Local or other Authority subject to the control of any of said Governments. The Vice President is the ‘ex-officio’ Chairperson of the Rajya Sabha. The Vice President is elected for a period of five years. There is no fixed retirement age to the Vice President and he or she can be re-elected as the Vice President for any number of times. The Vice President is entitled to receiving the salary of the Chairman of the Council of States, which presently amounts to Rs 1,25,000 per month. The Electoral College consists of following members: a) 233 elected and 12 nominated members of the Rajya Sabha. (Total: 245). b) 543 elected and 2 nominated members of the Lok Sabha (Total: 545). The grand total comes to 790. Has completed the age of 35 years. Is qualified for election as a member of the Council of States (Article 66). The Vice President can be terminated before the completion of fixed five-year term, either by resignation or by removal by the President. There is no formal process of impeachment for the removal of the Vice President, and a removal proceeding can be initiated when members of the Rajya Sabha vote against the Vice President in an effective majority and members of Lok Sabha agree to this decision in a simple majority. A total of 14 days advance notice must be given prior to the initiation of the removal proceedings of the Vice President. In such cases, when a temporary vacancy in the office of the Vice President is created, the Deputy Chairman of the Rajya Sabha takes over the role of the Chairman of the Rajya Sabha. 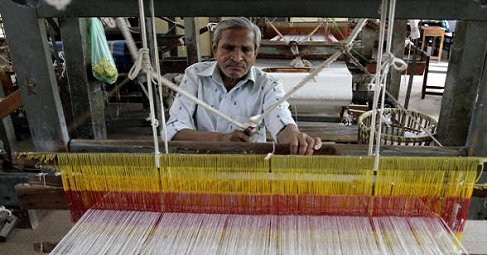 National Handloom Day was observed on August 7 across the country to honour the handloom weavers. August 7 was declared as the National Handloom Day in 2015 to mark the 1905 Swadeshi movement. It was on August 7, 1905 that the formal proclamation of the Swadeshi Movement was made in a meeting at the Calcutta Town hall. The movement involved boycotting British products and the revival of domestic products and production processes. India exports about 95% of hand-woven fabric in the world. In India itself, handweaving covers one of the largest sectors in Indian economy and it provides employment to about 43 lakh weavers. It is time to encourage citizens to use more of handloom products because a certain increase of 5% in the consumption would help the handloom market and revenue grow by over 33%. 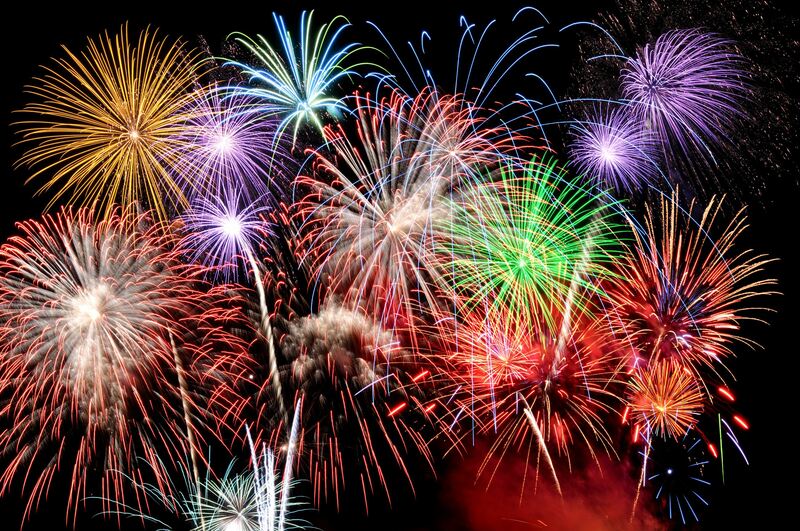 The Supreme Court ban on the use of antimony, lithium, mercury, arsenic and lead in the manufacture of firecrackers to prevent air pollution has turned the focus on what chemicals are used to produce spectacular visual effects and noise. Experts say none of the specific products banned by the court are used. The Supreme Court, in it’s order, had directed that no firecrackers manufactured by the respondents shall contain the chemicals. The banned chemicals include antimony, lithium, mercury, arsenic and lead in any form whatsoever. The court entrusted the Petroleum and Explosive Safety Organisation (PESO) with the responsibility of ensuring compliance particularly in Sivakasi. Over 90% of cracker production is done in Sivakasi. However, cracker manufacturers in Sivakasi, who denied using the banned chemicals, said the sound and light show is produced by chemicals such as sulphur, aluminium powder and charcoal (used as fuel), besides potassium nitrate and barium nitrate (as oxidising agents). The framework seeks to advance a 2002 Declaration of Conduct (DOC) of Parties in the South China Sea, which has mostly been ignored by claimant states, particularly China, which has built seven man-made islands in disputed waters, three of which are equipped with runways, surface-to-air missiles and radars. Beijing insists its activities are for defense purposes, in areas it considers its waters. Malaysia, Taiwan, Brunei, Vietnam and the Philippines, however, all claim some or all of the South China Sea and its myriad shoals, reefs and islands. The South China Sea is located at the western edge of the Pacific Ocean, to Asia’s southeast. It encompasses an area of about 1.4 million square miles and contains a collection of reefs, islands and atolls, including the Spratly Islands, Paracel Islands and Scarborough Shoal. What’s the dispute is all about? Japan, on August 6th, marked 72 years since the world’s first nuclear attack on Hiroshima, with the nation’s traditional contradictions over atomic weapons again coming into focus. Japan suffered two nuclear attacks at the end of the World War II by the United States — in Hiroshima on August 6, 1945 and in Nagasaki three days later. 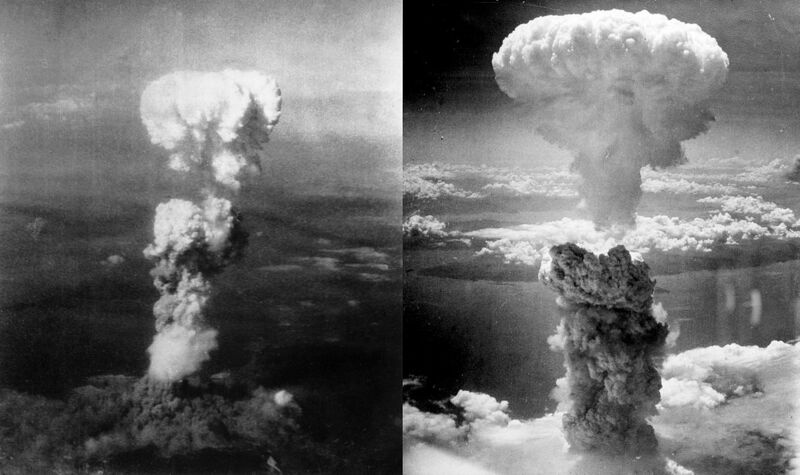 The bombings claimed the lives of 140,000 people in Hiroshima and 74,000 people in Nagasaki. Some died immediately while others succumbed to injuries or radiation-related illnesses weeks, months and years later. Japan announced its surrender in World War II on August 15, 1945. Many in Japan feel the attacks amount to war crimes and atrocities because they targeted civilians and due to the unprecedented destructive nature of the weapons. But many Americans believe they hastened the end of a bloody conflict, and ultimately saved lives, thus justifying the bombings. Barack Obama became the first sitting U.S. president to visit Hiroshima in May last year, paying moving tribute to victims of the devastating bomb. China is pushing for the early signing of a mega-regional Free Trade Agreement (FTA), known as RCEP, among 16 Asia-Pacific nations, including China and India. The Regional Comprehensive Economic Partnership (RCEP), the proposed FTA, aims to boost goods trade by eliminating most tariff and non-tariff barriers — a move that is expected to provide the region’s consumers greater choice of quality products at affordable rates. It also seeks to liberalise investment norms and do away with services trade restrictions. 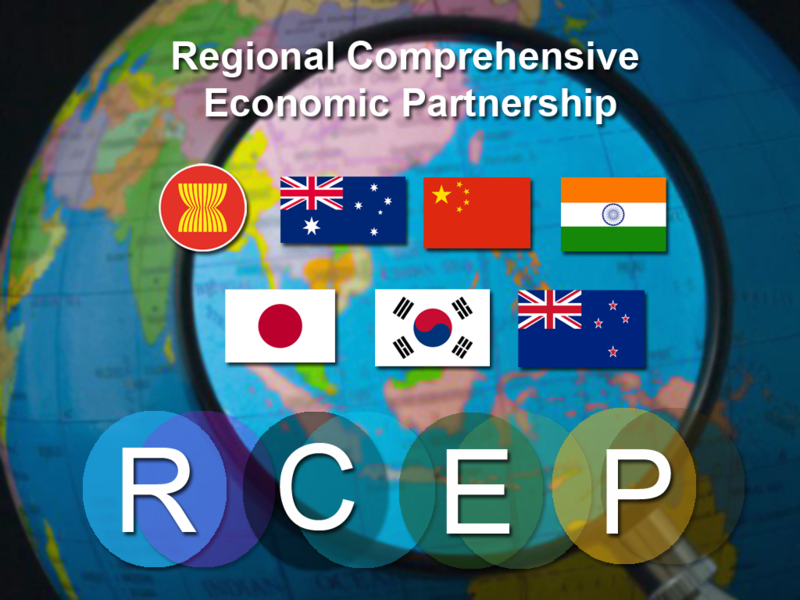 The RCEP is billed as an FTA between the 10-member ASEAN bloc and its six FTA partners — India, China, Japan, South Korea, Australia and New Zealand. Why is China so much interested in this deal? China, using its influence as the global leader in goods exports, has been deploying quiet diplomacy to ensure consistent focus on attempts to obtain commitments on elimination of tariffs on most traded goods. China is keen on an agreement on a ‘high level’ of tariff liberalisation — eliminating duties on as much as 92% of traded products. This deal helps China fulfil its objectives. China is also speeding up the RCEP negotiation process and striving for an early agreement, so as to contribute to realising the greater common goal of building the Free Trade Area of the Asia-Pacific (FTAAP). The FTAAP spans 21 Asia-Pacific Economic Cooperation countries, including the U.S. and China, but does not cover India. With the U.S. withdrawing from the Trans Pacific Partnership — a mega-regional FTA not involving India and China — that similarly aimed to help establish the FTAAP, the path is clear for China to push ahead with this strategic initiative to its advantage through the RCEP. Why should India be concerned? A highly ambitious level of tariff elimination without enough flexibility would affect India the most on the goods side. This is because in the RCEP group (except Myanmar, Cambodia and Lao PDR), India has the highest average ‘Most Favoured Nation (MFN) tariff’ level at 13.5%. MFN tariff, as per the WTO, refers to normal, non-discriminatory tariff charged on imports — excluding preferential tariffs under FTAs and other schemes or tariffs charged inside quotas. India is already affected by China’s overhang of excess capacity in sectors including metals, chemicals and textiles. Goods imports from China have been far outpacing India’s shipments to that country (India’s exports are mainly troubled by China’s non-tariff barriers). This has led to goods trade deficit with China widening from just $1.1 billion in 2003-04 to a whopping $52.7 billion in 2015-16. The initiative could provide a means for Chinese industries with excess capacity to export equipment that is currently idle. Also, the proposed FTA, owing to the possibility of elimination of duties across most sectors, could lead to a surge in inflow of low-priced goods, mainly from China. This would result in Indian Industry’s share in the domestic market contracting, and consequent downsizing/closure of operations, as well as job losses. This could lead to lower incomes and reduced consumer spending. Since India already has separate FTAs with the 10-member ASEAN bloc, Japan and Korea, India Inc. feels that on account of the RCEP, India may not gain much on the goods side with existing FTA partners. India is also negotiating separate FTAs with Australia and New Zealand. China is the only RCEP country with which India neither has an FTA, nor is in talks for one. Therefore, Indian industry sees RCEP as an indirect FTA with China, especially since there could be a hue and cry if India opts for a direct FTA with that country given the sensitivities involved. India’s FTA strategy has to be guided by the ‘Make In India’ initiative that aims to boost domestic manufacturing and job creation within India. In return for greater market access in goods, India, with its large pool of skilled workers and professionals, should try to use the RCEP to gain on the services side, by securing commitments from the other nations to mutually ease norms on movement of such people across borders for short-term work. The government has formulated a detailed action plan with timelines for smooth implementation of WTOs trade facilitation agreement (TFA). Members of the World Trade Organisation (WTO) including India has ratified TFA, which aims at easing customs procedures, expediting movement, release and clearance of consignments. For the implementation of the pact, the government has last year set up Cabinet Secretary-headed National Committee on Trade Facilitation (NCTF). Implementation of the plan, which also includes suggestions of the private sector, have been divided into short term (0-6 months), medium term (6-18 months) and long term (18-36 months). The short term action plan includes augmentation of storage infrastructure for perishable goods and clearance of such goods within 12 hours of landing for import and 8 hours for export. The plan for mid term includes updation of all regulatory information available on the internet on a single window portal; to put in place adequate bio-security measures for livestock imports and publication of all fees on a singe window website. Cargo release time, both for export and import purposes, would also be reduced within a time period. For imports, sea and air cargo release time would be reduced to three and two days respectively. Similarly, for exports, sea cargo release time would be brought down to two days and air cargo the same day. The CBEC and the commerce ministry would also work on streamlining policy for e-commerce which includes cutting documentation requirements and providing single submissions. Further, as part of the action plan, legislative changes have been proposed in the Customs Act 1962 for processing of documents among other things. The agencies and ministries involved in the implementation process includes Central Board of Excise and Customs (CBEC), Directorate General of Foreign Trade and Animal & Plant Quarantine, textiles and environment ministries. The Prime Minister’s Office (PMO) has directed the Ministry of Finance to fund the losses incurred by the Indian Railways in operating non-profitable trains on strategic lines and backward areas. The directive ends a tussle that began following the merger of the Railway and Union Budgets, as the Ministry of Finance had discontinued the practice of providing an annual subsidy to the Railways. Every year, the Ministry of Finance reimburses the Indian Railways operational losses incurred on six strategic lines and railway lines in hilly, coastal and backward areas. However, following the Budget merger, the Ministry of Finance argued that since the ‘capital-at-charge’ of the Railways, which represents the total investment made by the central government in the Railways, would be wiped-off, the subsidy payment in the form of reimbursement of losses on strategic lines and other concessions will be discontinued. The losses on operating strategic lines accounts for a small fraction of the estimated over ₹34,000 crore borne by the Railways towards social service obligation. Therefore, the decision comes as a relief for the Railways which feels that the social service obligation borne by it in running non-profitable lines of national and strategic importance should be funded by the Central government. Besides, the Standing Committee on Railways and the Estimates Committee, in their reports, have also recommended that the Railways should get back the money invested in loss-making lines of national importance. Next story Insights MINDMAPS: “Crop Insurance in India” and “Policy for Influenza Immunisation”.